This little un assuming bottle containing Manuka Oil, has saved me from numerous antibiotic courses and steroid creams. It all started when I got a cut on my foot whilst doing Taekwondo. I got a horrible infection that resulted in cellulitis and a couple of A&E visits. After weeks on super strong antibiotics I was able to walk again, but the infection never really healed. I was given more and more antibiotics and steroid creams on top of that, but nothing really helped in the long run. 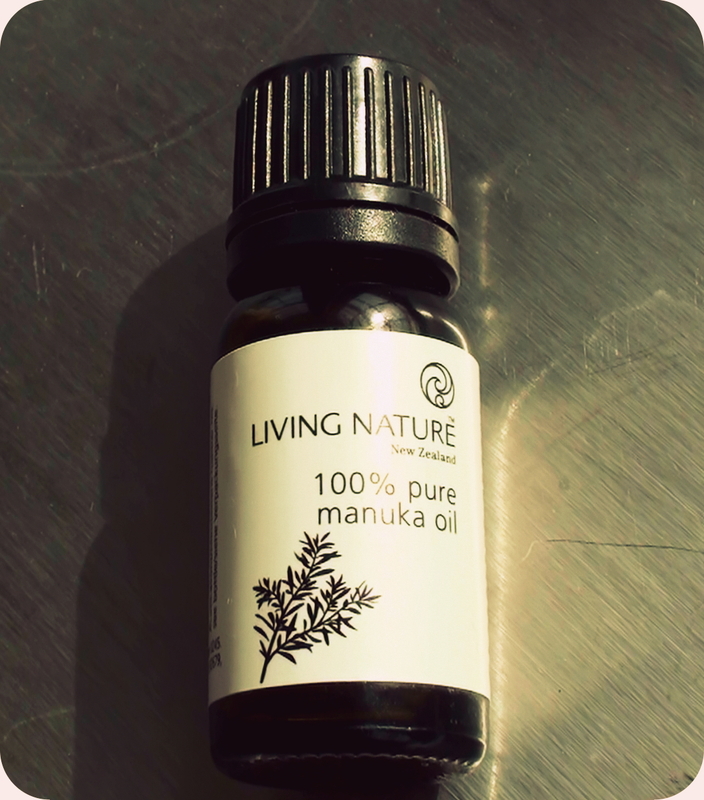 Then one day the lovely people from Living Nature sent me the above bottle of Manuka Oil and I just knew I had to try it on my infection. I had used Tea Tree oil, but this was something completely different, within a week I could see real improvement! Manuka Oil has amazing antibacterial, anti-fungal and anti-inflammatory properties. Scientists have found that it’s even effective against the MRSA bacteria, which is resistant to normal antibiotics. You can use it in the same way as you would Tee Tree oil, straight on the skin. (but do a little test on your skin before just to be sure you’re not sensitive). It’s excellent for Athletes foot and Toenail fungus: apply the oil straight on to the infected area cover with socks or a dressing twice a day, and/or put 10 drops in a relaxing foot bath. It’s also extremely good for skin conditions like Acne, here I would apply straight with a cotton bud. The oil is also very soothing and uplifting , so very good to add to a relaxing bath if you suffer from stress or anxiety. This 10 ml bottle from Living Nature cost about £15 . Yeah, expensive, but this is one healing product I can’t live without.